Bristol Mountain is located in the Western Finger Lakes Region of New York State. 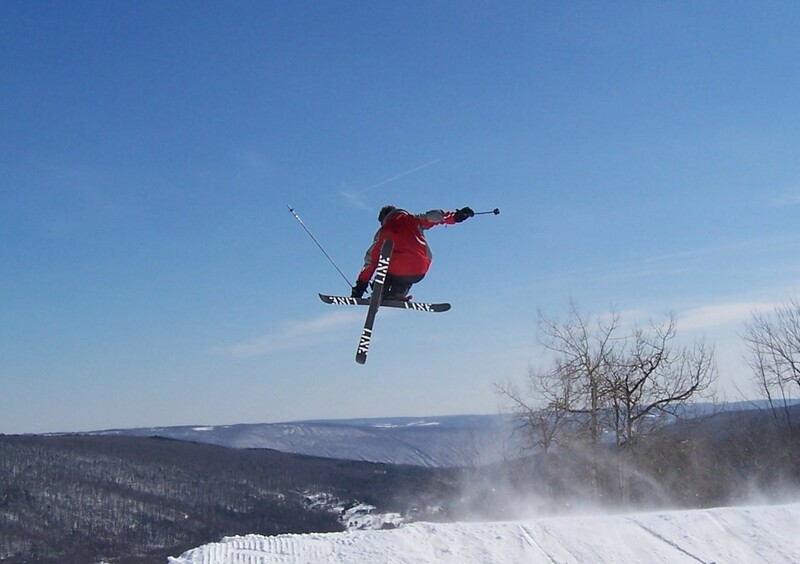 Bristol Mountain provides skiers and snowboarders 138 acres of skiable terrain spread out over 34 trails and a 1200’ vertical drop. The terrain is accommodating for all ages and ability levels with 32% reserved for beginner, 50% intermediate and 18% advanced, including 96% night skiing terrain and 97% snowmaking coverage. Bristol Mountain has a top notch learning center, as well as two terrain parks that cater to all ability levels. Bristol Mountain’s North Star Village Townhouses offer affordable ski-in/ski-out lodging with built in deals with their Ski & Stay programs. Ski shop, school, and rentals at area with complete services nearby. Two cafeterias and one bar at base with others nearby. Child care for 18 months to 12 years avilable. First aid and NSPS ski patrol. Conference Center open year-round. Ninety-seven percent snowmaking. Get Snow Reports, Powder Alerts & Powder Forecasts from Bristol Mountain straight to your inbox!